I’m really enjoying working on my temperature blanket – even though it’s only a few rounds a day. However, I made a rash decision to work on other related projects at the same time. I began it in December – so that Winter in its entirety would be evident at the beginning. December was an odd month for temperatures. The first few days were very mild – surprisingly mild – and introduced colours that I wouldn’t have expected until March. There were also some very very cold days. 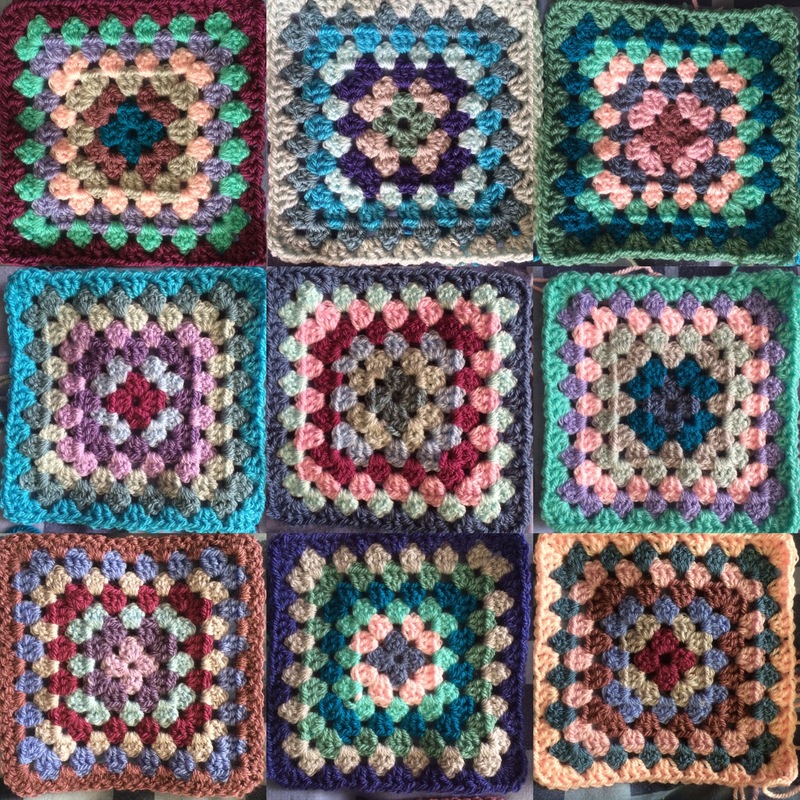 Using the December colours I made a granny square blanket which I’ve called The Spirit of December. I’ve just realised that I haven’t photographed it – but these squares above are from the project – and you can see how colourful they are. January brought cold temperatures. 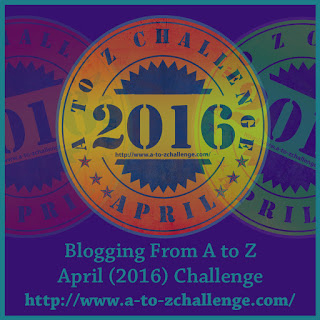 In the same way I made granny squares to represent the month as a whole – based on the same temperature colours. Work was delayed on The Spirit of January due to the previoously mentioned shortage of Lobelia, but the final stitch has now been added, and here are most of the squares finished and about to be blocked! I’m now working on The Spirit of February. So far I’ve used 15 colours – there may be more, but I won’t know that until the afternoon of the last day of the month. I’ll update you on the Winter phase of the Temperature blanket at about that time too. Author nuvofeltPosted on February 19, 2017 February 19, 2017 Categories Blanket, Colour, crochet, Spirit of ...., Temperature BlanketTags 2017, crochet, February, granny squares, Spirit of December, Spirit of January3 Comments on Spirit of …. The blanket, which I’m calling Sprit of December is roughly a temperature blanket for the last month of 2016. Each day I recorded the temperature in the morning when I woke, and again at mid-afternoon. A colour was allotted to each degree, and the stack you saw yesterday was the result. I plan to have it finished by the end of January, and in the meantime I’m working one the Spirit of January, along the same lines. It will be interesting to compare. Here is a mini collage of some of the squares. Grannies aren’t my favourite, but they are suiting this project, and it’s a good discipline to work consistently on something that takes determination to see it through. Author nuvofeltPosted on January 4, 2017 January 6, 2017 Categories Blanket, crochet, This and That, ThoughtsTags 2017, crochet, January, Spirit of DecemberLeave a comment on The ends are reducing! And now for the ends! Firstly, thank you for the comments made on my last couple of posts. If you are still waiting for a reply I apologise. I really appreciate them, but find it so much easier to answer via the pic – and I haven’t opened mine for a while. I will do so soon, though, in the meantime here is a sort of December catch-up! A couple of posts back I showed you a granny square. My relationship with these easy crochet pieces began many years ago before I was married. I began a blanket in shades of white, apricot and grey. There were 8 rounds in each square and my ambition was to make a blanket big enough to cover the bed to the ground, on each side. I bought a ball of colour now and then, as I ran out. Then disaster struck! The shop closed and no one else sold the brand. The finished squares were bundled into a bag and hidden at the bottom of my wardrobe. Time passed and I met and became engaged to my, now, husband. His mother, sadly no longer with us, was a fellow yarnaholic and I mentioned the blanket to her. lol and behold – she knew of a shop selling this yarn, although it was a fair journey away. So, once again the square production started, although the intended blanket size now increased by quite a lot in order to cover the bed once we were married. Progress was slow. I had a full time job, and topping up the yarn only happened when I visited my fiancé and his family. All went well, though, until…. …. that shop closed too…..
At some point the bag and its contents were donated to a charity. I had had enough of granny squares to last me a lifetime! So to begin working on a blanket made with said squares has been an emotional journey. I have, at times, been ‘transported ‘ back into the last century long before the Internet brought everything so close. Back to the days when there were even steam trains operating on a daily basis. Yes, I really am that old! Anyway….. enough reminiscing let’s get back to the purpose of this post. 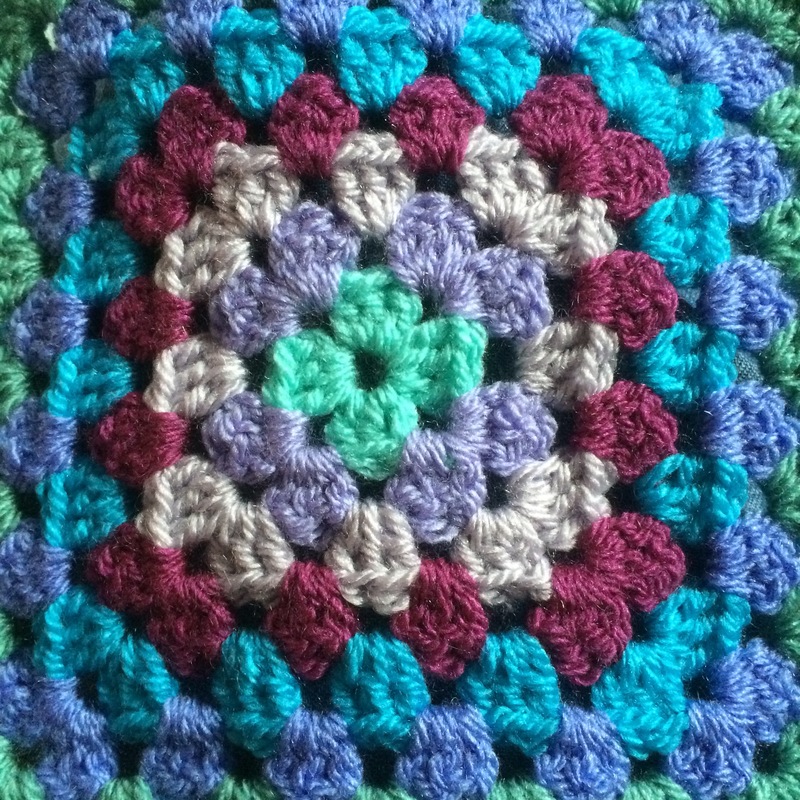 Granny squares! I’ve been making a few. This is just one, but I made 30 during December. That equates to one a day with Christmas Day off! I’m calling it the Spirit of December blanket. I’ll tell you more about the colours and idea behind it when it’s a little more ‘together ‘. In the meantime… I spy a few ‘ends’! Author nuvofeltPosted on January 3, 2017 Categories crochet, Temperature Blanket, This and ThatTags blanket, granny square, Spirit of DecemberLeave a comment on And now for the ends!